There is a world behind the world. The best social monitoring tools help one to peer into the vast realm of the unconscious, a place populated by archetypal entities created by sub-cultures. 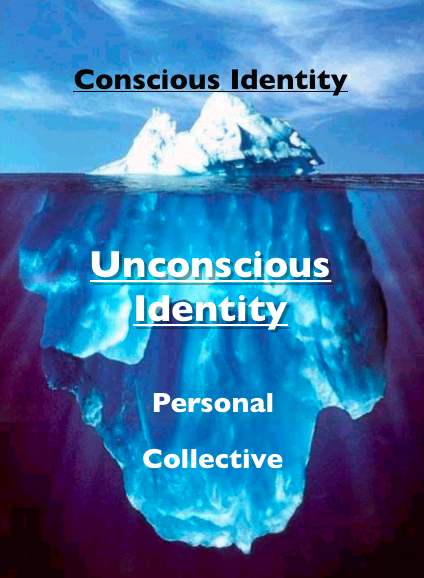 The voices of the unconscious realm become starkly visible in the patterns moving across and through social networks. Within these complex and varied fabrics there ripple millions of vibrations, which ultimately collate to form the deities worshipped by the various tribes roving cyberspace. It has been said that all words find their root in a god somewhere in some mythology. The collective is forming a series of complex, subtly balanced life support systems in the form of social networks populated by living cells! Currently The Firestarters in organizations are inspiring LISTENING programs AND finding ways to involve the WHOLE organization. These are the ones who understand the value of listening to the WHOLE, divining the “world behind the world” and gleaning emerging trends. Out of this, a Creative has the data to craft more finely-honed FUTURE RAGES. Jung writes, “…any autonomous complex not subject to the conscious will exerts a possessive effect on consciousness proportional to its strength and limits the latter’s freedom.” He goes on to say, “It gets you below the belt and not in your mind, your brain just counts for nothing, your sympathetic system is gripped. It is a power that fascinates people from within, it is the collective unconscious which is activated, it is an archetype which is common to them all that has come to life.” This phenomenon is occurring countless times a day in the social networks as viral elements feed on Likes and Tweets, rolling millions into seemingly irresistible currents. Nikos Kazantzakis writes, “I feel that behind appearances this struggling essence is also striving to merge with my heart. But the body stands between us and separates us. The mind stands between us and separates us.” In the coming 12 months, I predict this sense of separation will diminish as Transparency becomes the fashionable “way to be” and world behind the world injects itself directly into daily experience through a kind of spiritual tech, fusing humanity’s hunger for piercing mystery WITH financial return. The real VALUE of transparency IS that we are introduced to MORE MYSTERY, having transcended the secrets that acted as blockades to progress. Jung writes, “The psychological rule says that when an inner situation is not made conscious, it happens outside, as fate.” To be conscious of ANYTHING is to be free of its influence FOR THEN we have power of choice related to its activities. Humanity yearns to open itself to possibility. Exploring the unknown through social monitoring is a FANTASTIC action for facilitating such an evolutionary process. The fittest node: Who will "grab all the links" and "shape the network into a star"? “The explosive success of “new kid on the block” Google could not be explained by the scale-free model until a measure of a node’s ability to stay in front of the competition produced a “fitness model.” Examining the fitness model data, Ginestra Bianconi was startled to find that the calculations used were very similar to those found in the formation of a Bose-Einstein condensate. The math describing the behavior of “Bose gases” (a unique creature of sub-atomic quantum mechanics) turned out to be identical to those in the network fitness model. This similarity means, according to Barabasi, that in certain circumstances, particularly fit nodes in a network did not merely get richer … the winner could take all. TRAILMEME is a new kind of web publishing that allows users to create, annotate and walk individually curated trails through web content. These are highly-customized and customizable trails through the internet. ROLLYO puts the power of search in your hands, by giving you the tools to create your own personal search engines – with no programming required. This is a TARGETED METHOD for gathering information on what you want and a very effective way to narrow your results to expert resources in any given field OR a unique mash-up of resources. PEERINDEX helps you discover the authorities and opinion formers on a given topic. RECORDED FUTURE’S linguistics and statistics algorithms extract time-related information and through temporal reasoning helps users understand relationships between entities and events over time, to form the world’s first temporal analytics engine. Our customers include some of the most advanced financial institutions and leading government agencies in the world. The Recorded Future team includes computer scientists, statisticians, and linguists with deep domain expertise in areas such as intelligence and quantitative finance.